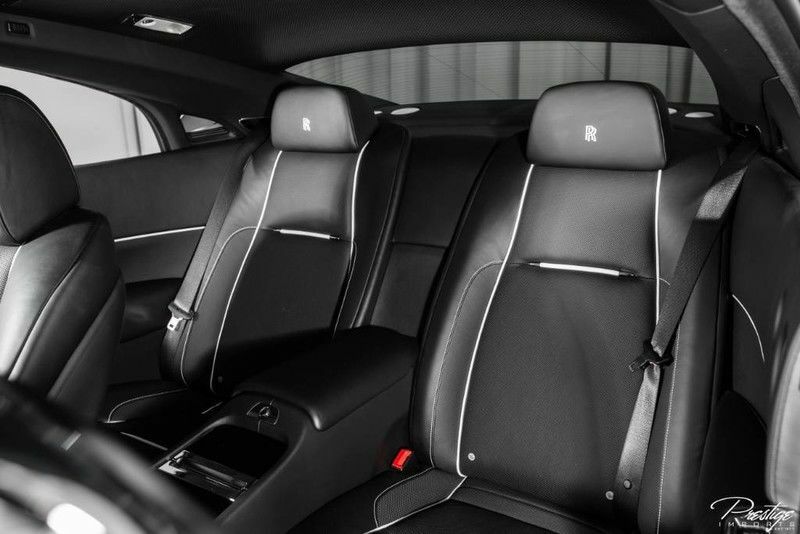 For generations upon generations, the Rolls-Royce brand has been seen as the highest pinnacle of luxury. While their nameplates illicit feelings of the supernatural, their vehicles make even the most prim and proper car shoppers drool. Today we’re looking at one such vehicle, a 2018 Rolls-Royce that’s hardly been utilized since it rolled off the line over a year ago. Currently for sale here in North Miami Beach FL, we’re trying to find it a new owner. The 2018 Rolls-Royce Wraith is powered by a 6.6L twin-turbocharged V12 engine. Those words alone sound fast, let alone the actual sounds of the engine itself. Capable of generating 624 horsepower alongside 605 pound-feet of torque, the 2018 Rolls-Royce Wraith can get up to 60 miles per hour in just 4.2 seconds and go on to run the quarter mile in 12.4 s. Both of those numbers are impressive for a somewhat beefy luxury car, and it’s all testament to that massive engine. While the Wraith’s performance is pretty incredible, it’s not even the claim to fame where Rolls-Royce vehicles are concerned. These high-luxury vehicles are much more focused on the premium features and content found throughout the cabin and even the vehicle’s exterior. This includes things such as its 18-speaker sound system, 20” & 7-spoke wheels, rain-detecting variable intermittent windshield wipers with heated jets, advanced headlights, window tint, 8-way powered front seats, remote keyless entry system, massive fuel tank, a whopping three 12V DC power outlets and so much more. 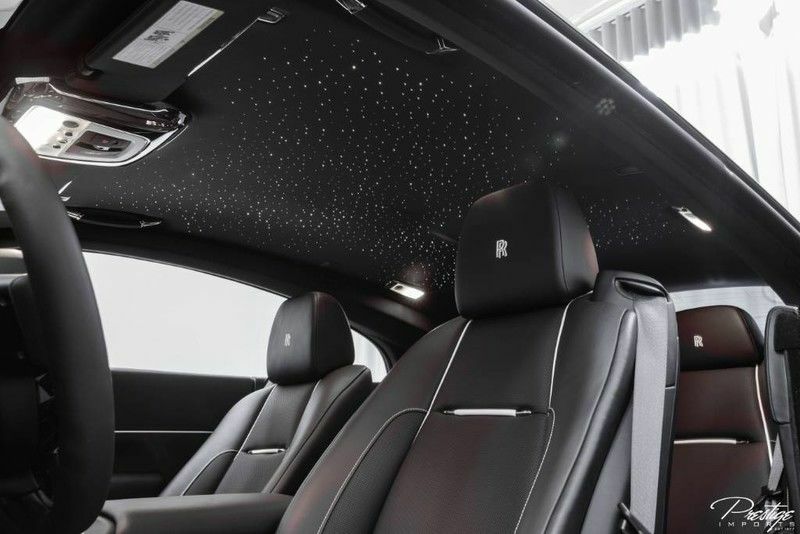 If you’re interested in making this Rolls-Royce Wraith your own, be sure to get in touch with us right away here at Prestige Imports and we’ll get you behind the wheel for a test drive at your earliest convenience. This entry was posted on Monday, March 18th, 2019 at 6:23 pm	and is filed under Rolls-Royce. You can follow any responses to this entry through the RSS 2.0 feed. You can skip to the end and leave a response. Pinging is currently not allowed.